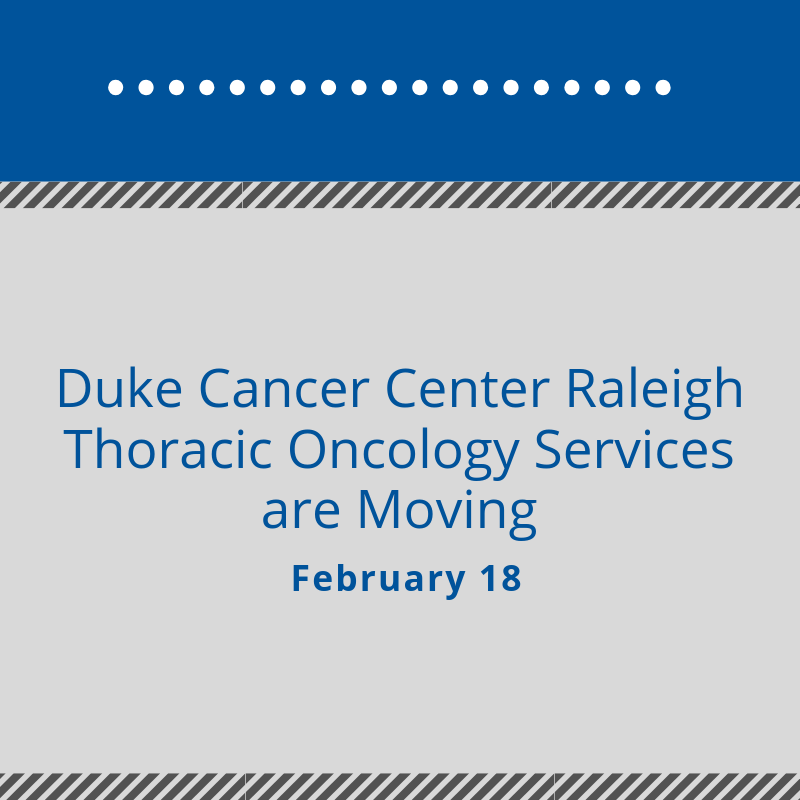 Beginning Feb. 18, the Duke Cancer Center Raleigh’s Thoracic Oncology unit will move from suite 303 to suite 201 in its existing location, 3404 Wake Forest Road. Patients being seen for these services at this location should now go to the second floor of this building, rather than the third. Phone numbers for these providers will remain the same. You may reach the main office at 919.862.5400.